My collection of wooden cutting boards. We've all been there. 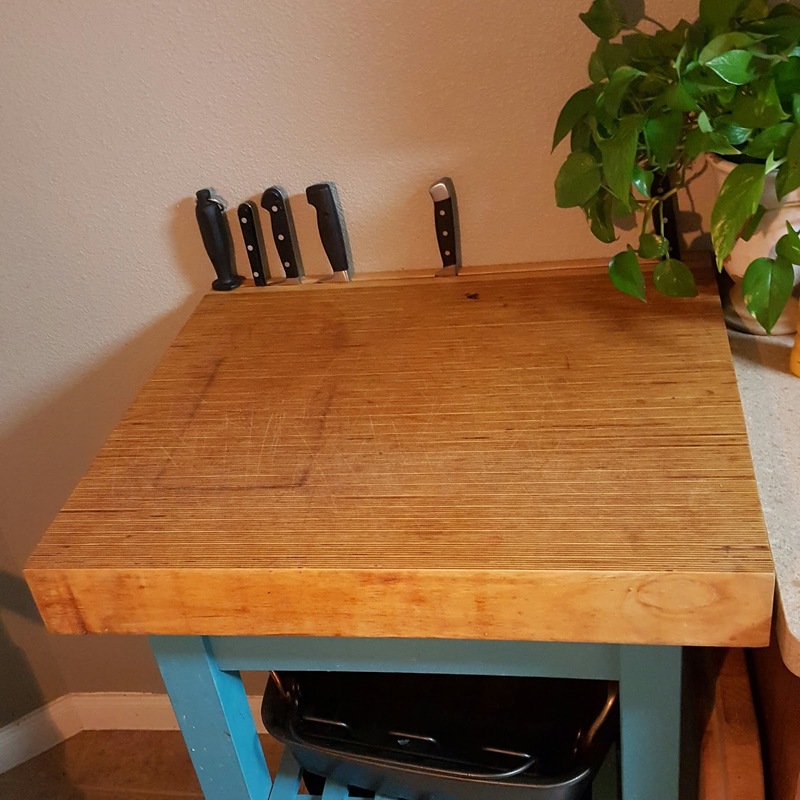 A perfectly good wooden cutting board warps or separates and ends up in the garbage. We've used a wooden cutting board, and it's dirty, and it needs to be cleaned without damaging it. About ten years ago I built a butcher block from Baltic Birch plywood, and did a lot a of research. Here is what I learned while researching the project, and what I've learned since then. I'm going to warn you. I'm a little overprotective of wood cutting boards and maybe go overboard when it comes to taking care of them. 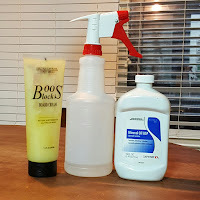 The tips here are what I do and I'm sure there are other ways of taking care of them. The cutting board doesn't belong in the water. It is okay to give a wooden cutting board a rinse, but don't submerge. The wood will absorb the water and will warp before it dries and will never be the same. If you do have to use soap and water to scrub anything off of the wooden surface, rinse it and towel dry immediately. Don't let it sit on a drying rack to dry over time. The wood can still absorb some of the water, which can cause some warping and other unwanted conditions. A pastry cutter or some other type of scraper is perfect for quick cleaning. Scrape the food scraps away and give it a quick wipe down. I always keep a spray bottle full of undiluted vinegar around as a cleaning agent. Spray it on and let sit a few seconds and will clean and disinfect the wood. This vinegar spray works great on counter tops and appliances while you're cleaning up. Every few months when the wood starts to feel dried out, I will apply a coat of either mineral oil or wood conditioner. Mineral oil is available at any grocery store. The wood conditioner is available at most kitchen supply stores, just make sure the one you use is food grade.